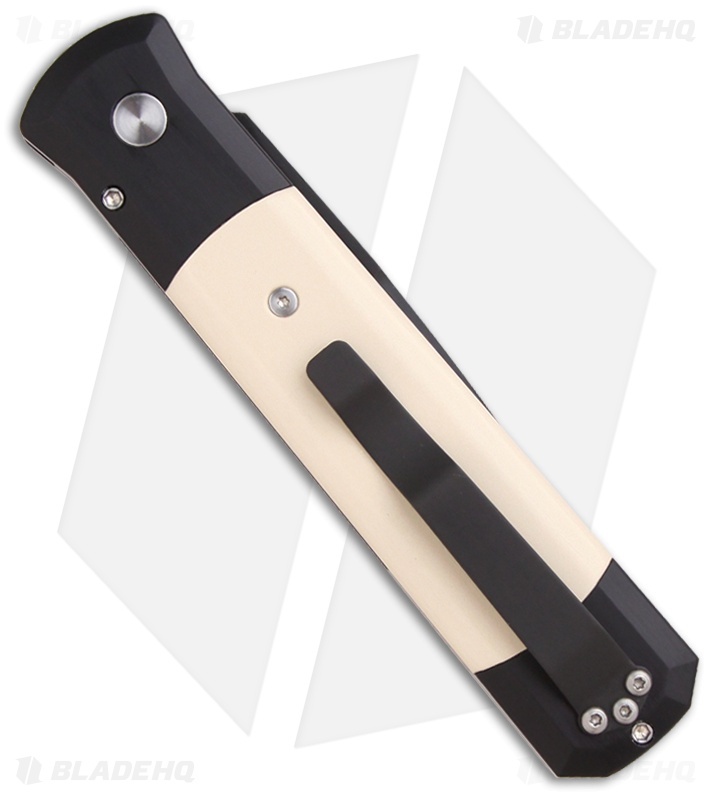 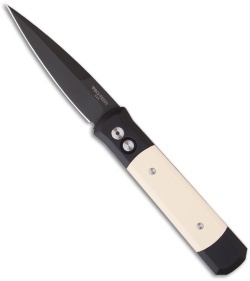 This Godfather knife features a "Tuxedo" style handle with a black anodized aluminum frame and ivory Micarta inlays. The hardware is satin finished and the tip-up carry pocket clip is black. 154-CM steel blade with a black DLC finish.